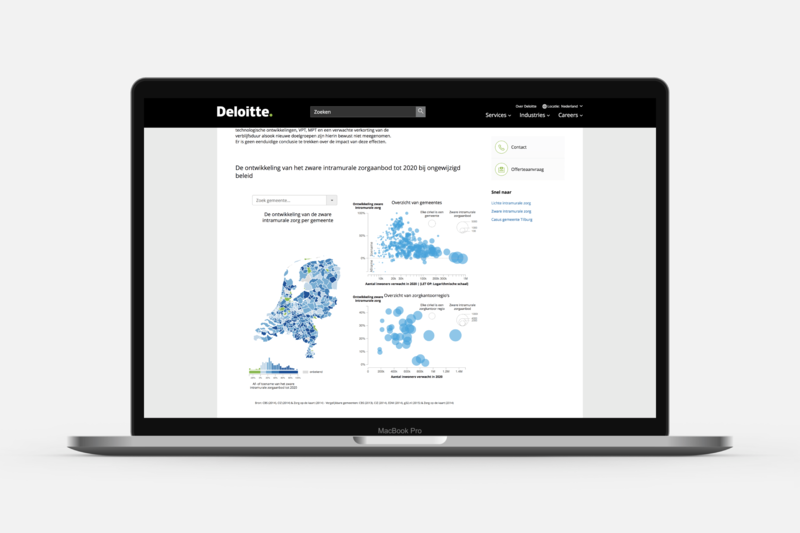 State of the State is a data analysis of the Netherlands which aims to provide policy-makers and organizations with actionable insights in the fields of education, healthcare, housing and employment. Deloitte analyzed open data in conjunction with data provided through participating corporations and institutions. And I designed and created interactive visualizations to accompany each of the analyses. Education | This year the education analysis focused on the connection between education and the labor market. Looking at the flow from education to the type of occupation. The willingness to move to a different province based on educational level and how well people from certain educational studies could find jobs that fit their studies. 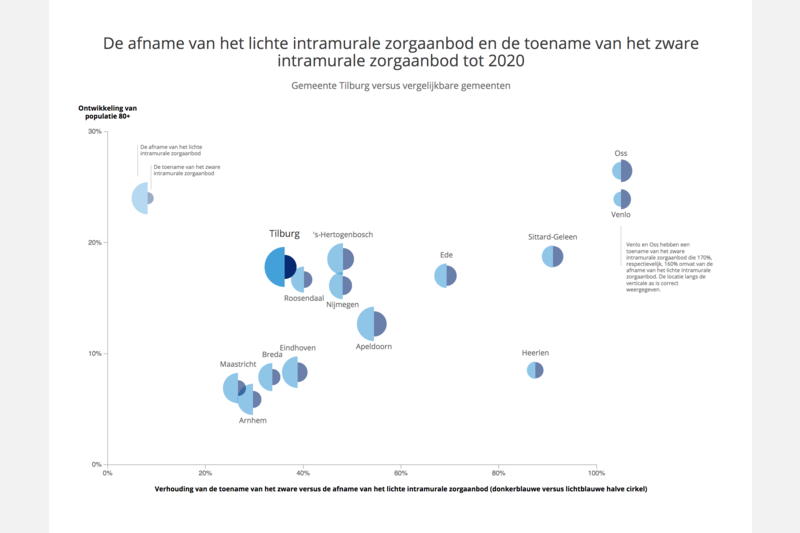 Housing | This analysis was based on a claim by a Dutch politician that there were more than enough empty office buildings in the Netherlands. Therefore, we didn’t need any plans for building new homes in cities. Of course, not every office building can realistically be transformed to a successful home, so we investigated if the claim by the politician was really viable. 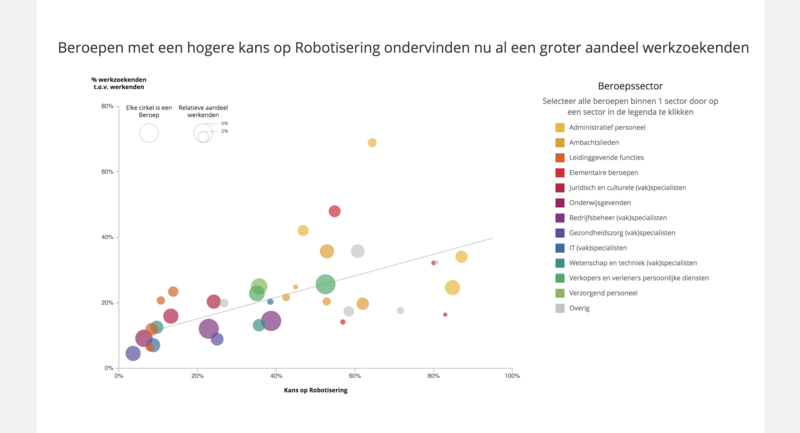 Labor | The labor analysis was a very small one: “How many jobs will disappear in the next years due to automation/robots”, where we found a positive correlation between the chance of robots taking over the jobs and the percentage already unemployed right now. Health | The issue tackled here had to do with a change in health measures as dictated by the government. Now, people that only required light forms of daily health care would have to remain living at home and receive their care at home. The effect of the change is that about 30% of all available places in a typical nursing home would become empty. Our goals was to get a deeper focus and understand which counties would be hit the hardest. But also focus on whether or not there is a future in transforming (sections of) a nursing home to something else, such as apartments.